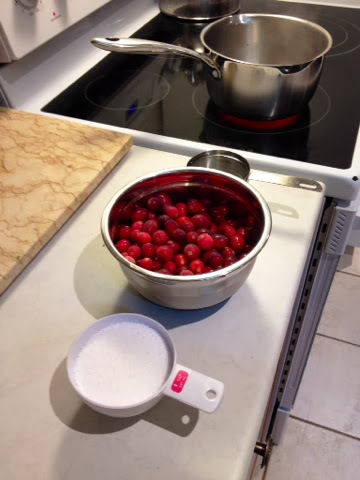 I first started by making a healthy cranberry sauce for the bottom layer of my jars. 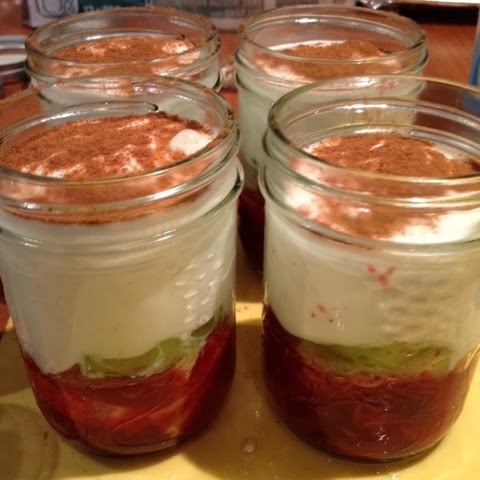 We always make this type of sauce for Thanksgiving or Christmas dinner. The past few times we have substituted real sugar for Splenda to make it a lot less calories and it comes out great! 1. Put 1 cup of water in a pot on HIGH and wait for it to boil. 2. Add 3/4 cup of Splenda and reduce heat. Wait for it to dissolve. 4. Add in some orange zest, mix in and let cool. 5. Can put in the fridge overnight for the sauce to thicken. 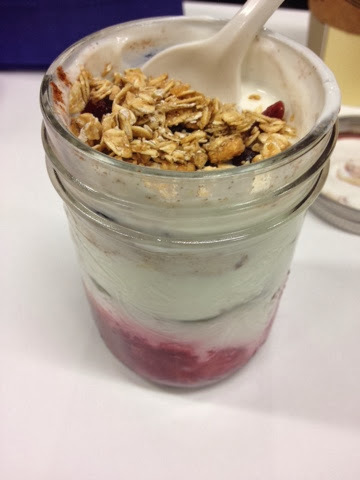 Cut up any fruit you have in your fridge and choose a plain yogurt of your choice! 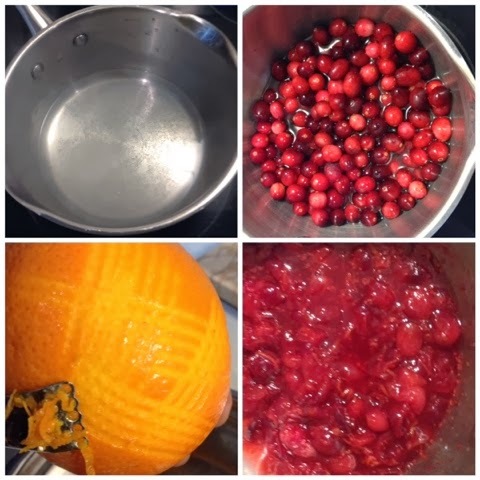 Add 2-3 tsp of the cranberry sauce to the bottom of each jar and then add your fruit on top of it. 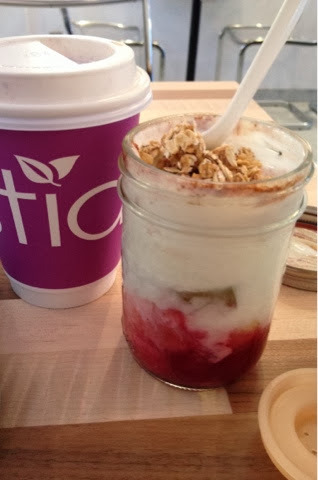 Add 1/2 cup of yogurt to your jars and cinnamon on top. 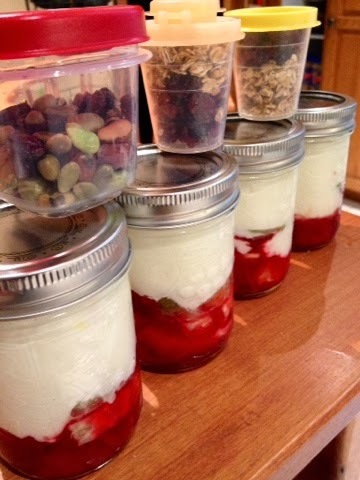 Pack any toppings of your choice to make your yogurt jars more of a complete breakfast. As examples, we have mixed nuts, granola or (more!) dried cranberries! 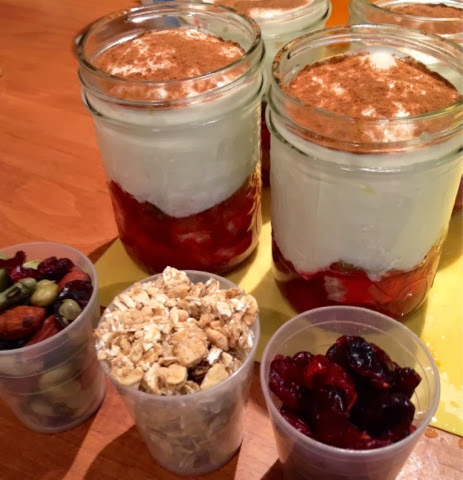 Very simple, healthy and filling breakfast/snack that you can prepare in bulk since the dry toppings are packaged separately. I recommend you try to make these to your liking, adding whichever fruit you enjoy to eat with your yogurt. 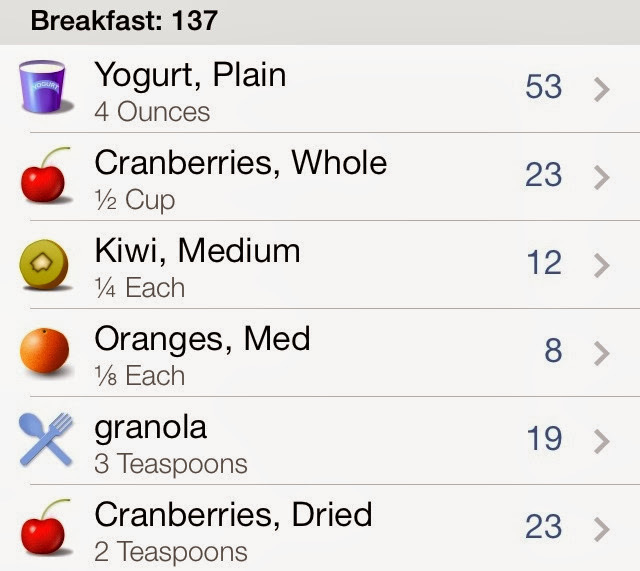 Note that this recipe can also be done with applesauce instead of yogurt. 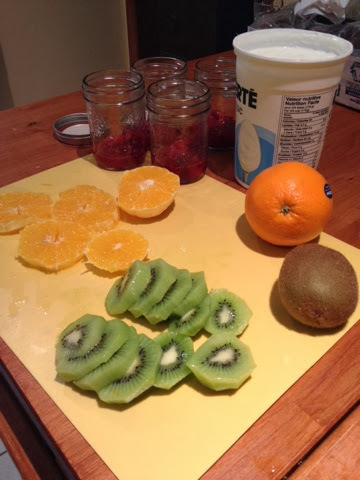 To see this version, refer to a similar post, Fruit Jars!